Have you ever wanted to listen to Greg Tito talk about the Truffle Shuffle? Me neither! The Wii has been out since November 2006, but The Wiire.com predates that by over a year. Formerly known as the Revolution Report (referencing Nintendo's codename for the console), Ian Mikutel has been running The Wiire.com since July 2005 by dutifully notifying the community about any and all Wii news, reviews and rumors. Part of that coverage is their weekly podcast, which has been running for over 160 weeks (that's over 2.5 years for you laymen). Ian and company were nice enough to ask me to be a guest on show #161 and we happily discussed topics like what Nintendo might announce at this years GDC, why Sony said third-party developers are flocking away from the Wii to the PS3, and whether you want to see a Truffle Shuffle in high definition. 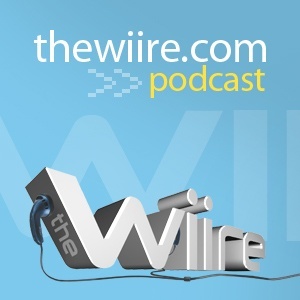 Check out episode #161 of The Wiire Podcast now. Many thanks to Ian, Mike, Andrew and Scott from The Wiire.com for having me on the show. They are a funny and knowledgeable bunch, and we had a great time recording it. Maybe they'll ignore my booming laugh (apologies to Andrew the sound mixer) and ask me back one day.